Nanotechnology has been a theme of futurist fiction for decades now. And its products are finally coming out of the lab to find a role in sunscreen, medical plasters and self-cleaning glass, to name a few applications. 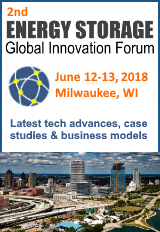 Meanwhile, although still very much at the development phase and some way from commercialisation, nanotechnology in energy storage is an exciting prospect for the sector, promising dramatic increases in capacity with reductions in size, weight and cost. It could also lead to novel alternatives to conventional batteries, such as the recently reported energy-storing electrical wire that inventors claim may one day be woven into clothing to supply electricity for our portable gadgets. When we talk about nanotechnology and energy storage, we are usually, although not exclusively, talking about graphene, a substance so new the Energy Storage Report spellchecker doesn’t even recognise it. This two-dimensional lattice of carbon atoms arranged in hexagons resembles flattened-out chicken wire, but is 100 times stronger than steel, with a very high conductivity of both electricity and heat. Once you have a graphene sheet, you can turn it into a variety of different shapes and forms, including cylindrical nanotubes, a type of foam, and even onion rings. Combining forms, such as sheets and tubes of graphene is also possible. Different shapes have different properties. For example, the diameter of a nanotube decides whether it will behave like a metal or a semi-conductor. But whatever exotic shape you chose, from microscopic bristles of nanotubes to flakes of sheet graphene, the overall result is to dramatically increase the surface area of whatever you attach the graphene to, up to 2,000m2 per gram. When your substrate is a lithium-ion battery electrode, the charge density can be vastly increased, leading to enormous opportunities to increase the efficiency of your energy storage device, which equals smaller, lighter cells that pack a bigger punch. Energy storage applications for graphene don’t start and end with batteries, however. 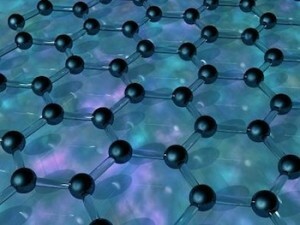 Supercapacitors can be made small and cheap by combining flakes of graphene with carbon nanotubes. Another proposed supercapacitor material consists of nanoballs and, again, the incredible surface area graphene provides is key. Despite their relative strength, structures with a thickness of as little as one carbon atom are obviously extremely delicate, which brings us to the first big problem with nanotechnology in energy storage. Pulverisation is the term for the degradation experienced by these flimsy structures during recharging cycles in batteries. It’s a problem that needs to be resolved, and at least one lab (at the University of Science and Technology of China, Hefei) thinks it has the answer. Another issue is effective production. You can produce variable-quality graphene in a blender or even with Scotch tape, but the biggest problem with the substance is still cheap mass-production of high-quality single-layer graphene and attaching it to a substrate for practical use. 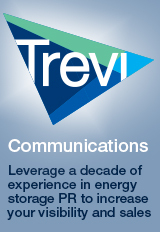 This is not just a problem for the energy storage sector. Thanks to having 100 times greater electron mobility than silicon and incredible thinness, graphene is an ideal material for microchips, plus touch screens, cooling systems and much more. That is why there is considerable corporate muscle behind new production techniques, such as that proposed by Samsung. Since most work on graphene is still very much a lab-based endeavour, it’s not surprising that its benefits are not yet being felt in the energy storage sector. Sir Andre Geim, the co-discoverer of graphene, recently urged patience to those expecting too much too soon. That said, we await further graphene-related developments with interest. 1 Comment on "Nanotechnology in energy storage"